For small objects, it performs very well - but of course slower than mORMot code. But for bigger content, it consumes a lot of memory. QDAC achieves 198,604 row/s and uses 5.9 MB. That is 8 times slower, and using 5 times more memory. QDAC achieves 178,607 row/s and uses 9.3 MB. That is 8 times slower, and using 7 times more memory. We did not test QDAC cross-platform abilities, nor its RTTI methods, which should be even slower. But we found a very annoying implementation issue of the JSON standard. 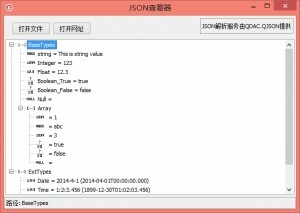 We discovered that QDAC it is not able to parse "" as a key, whereas it is valid JSON key. All other parsers do accept this sample.json reference content. I hope they will fix this issue. Comments and feedback is welcome on our forum, as usual.